The Prime Minister had sought the advice of the Attorney General on whether the Government could swiftly take over the Rs. 11 billion frozen in the bank accounts of the Perpetual Treasuries Group through some form legal avenue, Parliament was told yesterday. Responding to a question raised by Chief Opposition Whip and JVP leader Anura Kumara Dissanayake, the Premier said that he and Minister of Finance Mangala Samaraweera had consulted Attorney General Jayantha Jayasuriya on whether this money could be seized by the Government before the pending case at the Colombo High Court is completed. “The monies frozen in the bank accounts of the Perpetual Treasuries Group is more than the loss incurred by the questionable Treasury Bonds issuance,” the Premier said. 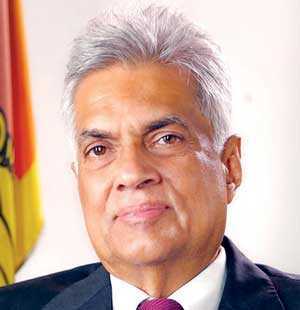 In response to MP Dissanayake’s question on if the Government was prepared to forward the Treasury Bonds case to newly established Special High Courts, Prime Minister Wickremesinghe said that it was up to the AG and the Police to do so once the ongoing investigations are concluded. “I could make a request to the AG Department and the Commission to Investigate Allegations of Bribery or Corruption to expedite the investigative process and conclude it soon,” he said. When the Chief Opposition Whip inquired if the Prime Minister was willing to personally intervene to have the former Central Bank Governor Arjun Mahendran brought back to the country, the Prime Minister said that authorities had taken all available legal measures in this regard. “Inform me if there is anything else that we can do. I have had no contacts with him after he left the country. My lawyers advised me to sever all my connections with him. I read in newspapers that Mahendran’s lawyers had sought information from the Court,” he said. Replying to queries by MP Dissanayake on the status of setting up the Special High Courts in accordance with the recent amendment to the Judicature Act, the Premier said that another Permanent High Court to try cases of large-scale financial crimes and corruption would be set up in the Western province.